Your family is everything. Many families grow up and grow apart, going their own way and never take the time together. They usually regret it later, so don’t be one of those people! Start planning a family reunion right now! Family reunions have fun, food and are full of wonderful memories. They are even more fun when you order T shirts for everyone to wear, it makes everyone feel special and give a sense of belonging to the occasion. 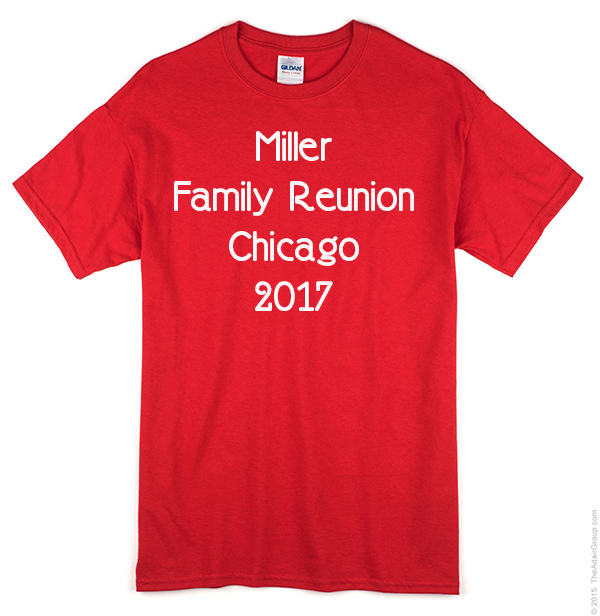 We have been designing and producing family reunion t shirts for families all over the Chicago area since 1976. Send us an email and tell us about your family, and give us some ideas what you have in mind. We’ll work up a special design and even personalize each shirt if you like. It will make your reunion one to remember. And save the shirt! Years later it will be fun to wear it again. Send us an email at info@shirtworks.biz and we’ll get back to you promptly.